A healthy aquarium requires proper filtration. It can be of 3 types, mechanical, chemical and biological filtration. Mechanical filter physically strains the water to remove fish waste, the leftover fish food, dust or sludge polluting the water. Chemical filtration, on the other hand, is required when pollutants have dissolved into the water. It removes dissolved particles by using activated carbon, resins or any other adsorbents. Biological filtration uses the bacteria in the tank to break down ammonia. It turns the ammonia into nitrite. It further converts the nitrite into nitrate which is less toxic to the fish. This article focuses on biological filtration as it is the most common filter for aquariums. It is generally known as the aquarium cycle. A biological filter provides housing for the bacteria that nitrifies the ammonia in the water. Biological filters can contain many different components. Non-corroding material such as plastic, ceramic or certain types of rock utilize the components surface area to colonize nitrifying bacteria cells. This media can be used until and unless it becomes too clogged to be used anymore. The biological media has a surface area that can easily colonize bacteria in the tank. As a result, there is no shortage of oxygen and nutrients for the nitrogen cycle. Established bacteria colonies cannot be removed easily. You can affect the bacteria growth by over-cleaning or using water which is chlorinated. Nitrosomonas is the bacteria that consume ammonia and convert it into nitrite. Following this process, Nitrobacter (another bacteria) converts nitrite into nitrate. Without colonization of these bacteria in the fish tank, the biological filtration of the tank is incomplete. This becomes a major problem for those who have set-up a new tank. Use surface gravel or the bio media from a populated tank to colonize bacteria in a new one. You can also use bacteria additive to establish these colonies. The nitrogen cycle in a new tank is hard to initiate because it is not fully populated. The bacteria do not colonize in a tank automatically. The ammonia released by fish excrement, decaying plants and uneaten fish food should be converted into nitrite. It is less toxic than ammonia. Furthermore, this nitrite should be converted into nitrate. It can keep the fish alive for a few weeks before it too becomes toxic. You can reduce the level of nitrate by doing partial water changes in the tank. An aquarium cycle keeps the colonizing of bacteria an on-going process. It keeps the tank ecosystem healthy. Creating a healthy ecosystem for the fish in your aquarium is a difficult job. You must have an idea about how to start this environment and then also maintain it! 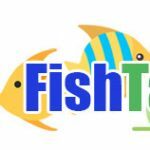 Visit FishTanksAndMore.Com for more informative ideas to sustain biological filtration in your fish tank. Let the fish in your tank stay healthy and keep spreading joy and color in your life.